Backyard pool safety is so important. Between 2005-2014 there were 3,536 accidental non-boating related drownings in the United States. One out of five were children under the age of fourteen. In fact, we all probably know someone that has lost a child due to accidental drowning. My husband's cousin lost a daughter in her own backyard due to drowning. As mom's most of us have played on our phone or glanced at a book while our children splashed about in the pool. This is a big no-no. When our kids are in the pool, we need to keep our eyes glued on them and nothing else. It's kind of like driving, we don't look away even for a moment, or we can end up in a ditch somewhere. Even if you're an adult and the best swimmer on the planet you should never ever swim alone. Right now, I want to be floating on my raft and sipping a cocktail but I can't because no one else is here. There are so many possible scenarios of things that can potentially happen. Always, have someone else nearby. 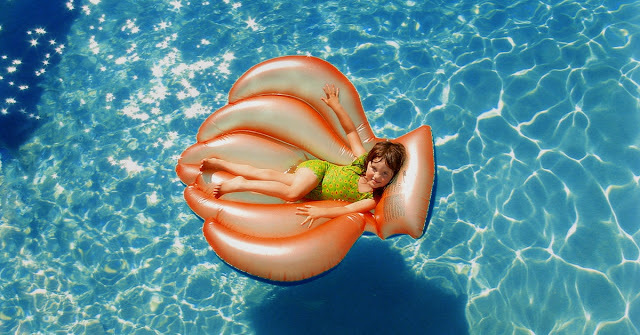 Make sure you always put pool toys away! The pool area should be clean and clear of anything that could potentially make you fall in. Also, when the kids are done remove all toys, so kids aren't tempted to reach for them and possibly fall in. Yes, I said no playing on your phone, but it's a good idea to have a phone handy in case of emergency. At our old home, we had our pool deck deadbolted so the kids couldn't randomly decide to go for a swim. Securing the pool with a gate with a lock or a pool alarm are excellent ideas. You can never be too safe when it comes to water. 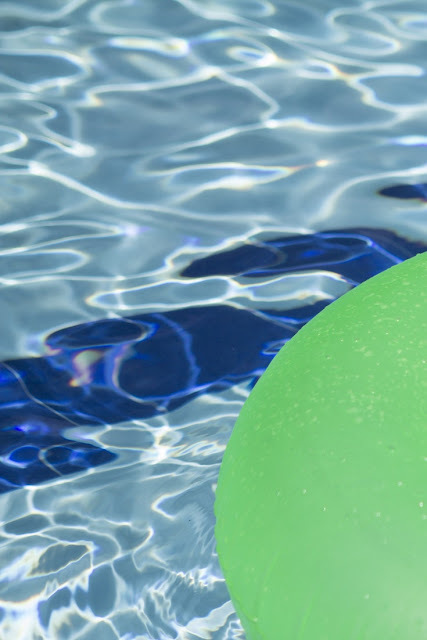 Make sure to have pool rules and that everyone that visits is aware of them. I was so thankful I had a locked gate on my pool so I didn't have to worry about neighbor kids showing up and diving in when I wasn't home. Do you kids know how to swim or float? These are lifesaving skills. Make sure to sign up at your local Aqua-Tots Swim School below!